I love that in-flight shot Mick! And it's nice to see the comparison of the two species side by side. 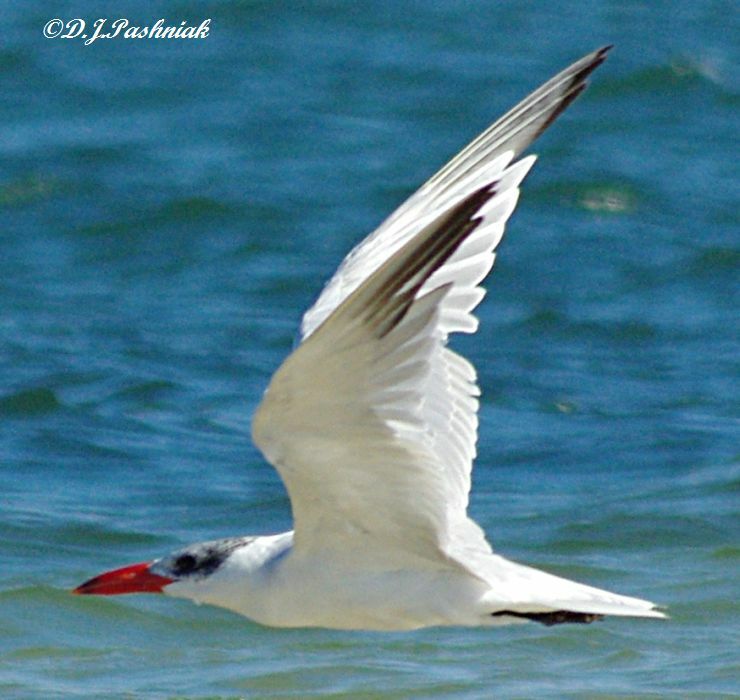 Wonderful photos of the Terns. I like the comparison shot of the Caspian and the Crested, very nice! That was a strange looking tern. Such a large beak! I had to check the book to see if it comes up here, but it doesn´t. Hi NatureFootstep - it is an interesting looking one isn't it - and it looks quite massive beside the smaller terns. I've seen Caspian Terns, but never the Crested Tern. Great photos showing the differnces. Great work Mick! Nice pictures of the juvenile with the adult Mick. With those hefty bills I guess those birds can take some pretty hefty fish too? Hi Phil, yes you're right - and it's interesting how all the terns have slightly different habits about fishing. 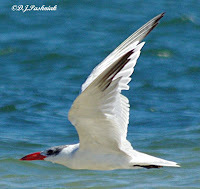 Lovely birds, Caspian Terns, even if they are a bit scruffy at present. Magnificent fliers. Your comment about different species feeding habits is probably spot on, too. Hi Denis, even the way they dive for fish is slightly different in different species. That's an idea! Maybe I can try for shots of them diving??? It's so nice to have five spare minutes and visit your blog, Mick! Thanks Nickolay, and I always enjoy your posts. I especially liked the juvenile Swamp Hen you recently posted. I've seen lots of adults but don't remember ever seeing a young one.